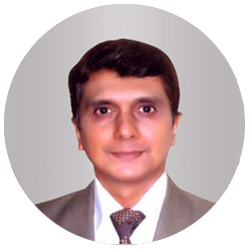 Dr Bhavesh Acharya is a Homeopathic practitioner practising in Mumbai, India since last 26 years. His patients are spread from across major states of India and across the globe. He has been providing effective safe and quality human care to patients of all age groups for ailments ranging from a common cold or psoriasis to renal failure and cancer. He takes pride in being a family doctor to patients for as long as 20+ years where children and even grandchildren are submitted to his treatment.With ever increasing list of satisfied clients testifying for sure safe and rapid improvement of their diseases makes him one of the most reliable medical health professional. He has the distinction of treating eminent and high profile clients who put their full faith and trust in him for disease pertaining to allergies renal failure and incurable cases of cancer. Children and others alike look forward to meeting him. Through selfless devotion in the field of academics and research, having taught and trained number of medical students and doctors at graduate and post graduate level helping them to become good clinicians and practitioners of this healing art has helped him to grow day by day in his own practice. Being in constant touch with academics and research skillfully utilizing the same knowledge has given him a cutting edge in the treatment of acute and chronic diseases thus redefining the prognosis (outcome) of so called incurable illnesses making him a modern and scientific face of Homeopathy. By nature he is sober patient always ready to help people in need at any hour putting his services before him. He is a good listener and patients whether children or adults vouch for his treatment. His journey in life is a spiritual one and it reflects in his practice and interaction with patients. In a period of 2-3 months no one could ever say the tumor had existed on her face as there was not a mark and till date has been so. She whole heartedly apologized to her father and took up the daunting task of making a difference to mankind – with not just sweet words but sweet pills too whose gigantic unseen power was available to her. And with this sweet weapon she begun slashing diseases that mankind got affected with. It has been a long journey of 26 years and she goes much beyond medicines giving a complete listening ear and helping make a difference in each patients life. 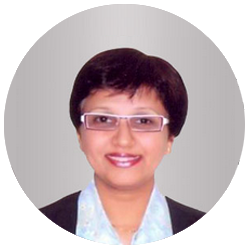 Her patients are from various states of india and countries across the globe. She has lectured extensively at schools colleges and corporate houses taking health and homeopathy to a different level.Wanting to uplift people`s confidence and self esteem she went a step ahead from treating diseases from asthma to cancers to beautifying one`s outlook catering to skin concerns hair problems and weight related issues with treatments that gave more permanent results in cases of acne pigmentation hair loss and obesity giving rise to an extended department ESTHETIQUES since Jan 2011.